Computers and the internet world have no faces or laws, It’s forbidden to forbid. Everyone uses a computer or laptop and we’re exposed to what is filtered of what happens in the World; We jump from one matter to another, in a distracted way, between the things we’re exposed to, with the idea of being interested in something. We’re allowed to access every kind of knowledge that comes to our minds on one side, and on the other side We can easily escape from the real nature of the world. We can create and We can erase with one click, and We can avoid things that we don’t want to appear on our screen. An artificial area has been created, with no apparent conflicts for ourselves, but that seems to separate us from what is happening around us. The offline world is the world of duty, the real world, where the individual places himself in precise and delimited time and space. Simultaneously we live online and offline, two universes that stand for themselves and can hardly be conciliated. It’s up to us to solve their conflicts and trace the borders of their distinct and contradicting codes. But what has the digital space become? Easily when we think of the screen space the first link that would come up to our head is a fictitious world, where class, gender or race no longer exist. Yet has been discussed the possibility of an omnipresent network time in a world that appears flattened by digital images and intricate coding. The “digital” has always been(and still happens to be) hard to define. We need to understand that computation as our algorithmic mind haven’t been recently discovered, an it would be a mistake to think the virtual is to physical as digital is to analog. Agreeing with Virilio’s conceptions, digital space is its own kind of dark energy, one which instead of expanding space and elongating real distances, flattens the space of analogy into the ubiquity of network time. What is the image of that ubiquity? What is the Time-Image of the World? What is our own acceleration, displacement, elongation, migration, vector, line, link? Though,as computer technology and online networks grow, a new portal of human experience grows. We relate to the screen space as a psychological space: any user feels subconsciously related to a space overwhelmed of meanings and purposes, adding the possibility of “traveling” between “worlds”, “rooms, and “domains”, that are characteristic of our daily online activities. We feel comfortable using computers or any other device as an extension of our thoughts, an endless notebook to consult and create, that matches our personality, taste and attitude. From sitting at our desks we’re thrown into a transitional space that interacts with our internal psychological processes, that it could be read and felt as an intermediate zone between self and other that is part self and part other: whenever we receive an email, or we’re scrolling through our comments on Facebook it’s easy to feel as if the dialogue was real and our mind is connected with that of the other. The Screen Space is an unreliable chance to better understand ourselves, a path for exploring our identity and make it engage with others. The internet space is where we can let out our fantasies, frustrations and research opinions. Undoubtedly the virtual world has it own rules and people have stretched their boundaries of behaviour in the social realm, even though the sensorial experience is (in the near future at least) quite limited. The screen space is just a gate that offers the detached option to express your-filtered-self in your filtered world, assuming imaginative identities or in some cases being completely anonymous. We’re allowed to give ourselves any name we wish, and show the better or worse part of our identity. We can enter an altered state of consciousness, a mimic that could resemble our imaginary. 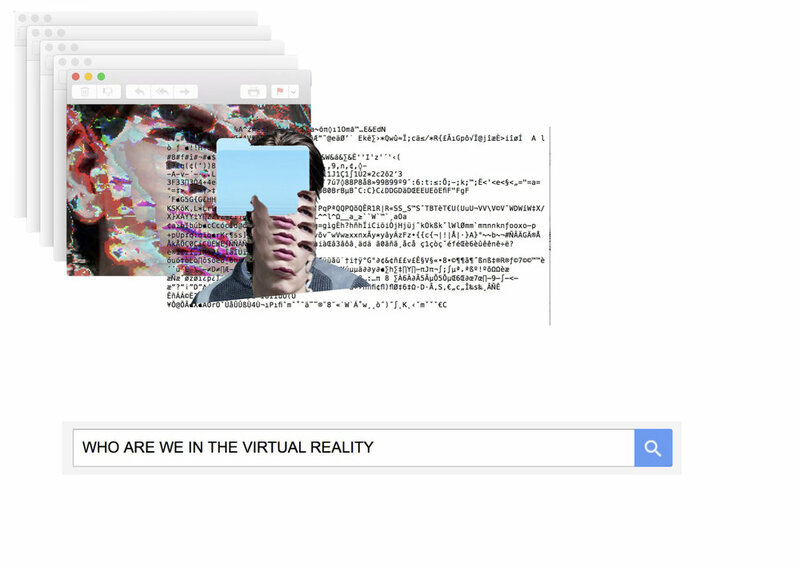 Who are we in the virtual Era? The most peculiar thing about the screen space is the chance it offers to present our persona in a multiplicity of ways. We express our identity daily, by just buying our clothes, in the way we move and through the careers we have chosen for ourselves, and similarly the we do the same thing by choosing the right channel to express ourselves. Millions of combinations are available, and each one of them underlines a specific attribute or makes a whole new persona rise. 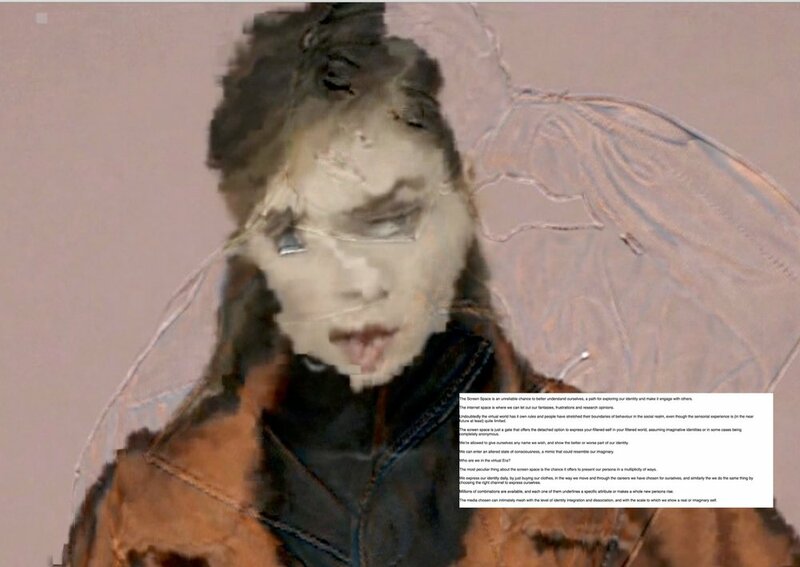 The media chosen can intimately mesh with the level of identity integration and dissociation, and with the scale to which we show a real or imaginary self.